Merwyn is an ordained Presbyterian Church (USA) minister and systematic theologian who has taught for more than 37 years. He is a graduate of the University of Virginia (1960), Union Presbyterian Seminary (1963, 1964), and the University of Basel (1973). 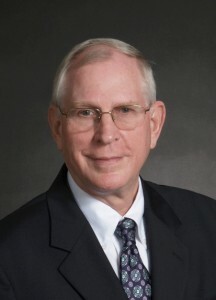 Merwyn has served as pastor to Presbyterian churches and taught at several Presbyterian seminaries, including Austin Seminary in Texas, Erskine Seminary in South Carolina, and Union Presbyterian Seminary in Charlotte, North Carolina. Now retired (at least that’s his official line), Merwyn continues to teach in the Charlotte area and remains an active presbyter in Foothills Presbytery. He also has training and experience in mediation. Merwyn and his wife Beverly live in Charlotte. Contact Merwyn at Merwyn@InChristSupportingMinistries.org.